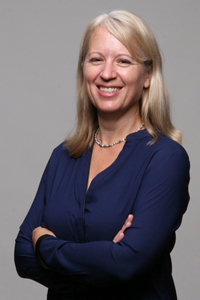 EDITOR’S NOTE: Points is delighted to welcome Mary Neuburger, a Professor of History; Chair of the Department of Slavic and Eurasian Studies; and Director of the Center for Russian, East European and Eurasian Studies at the University of Texas at Austin. 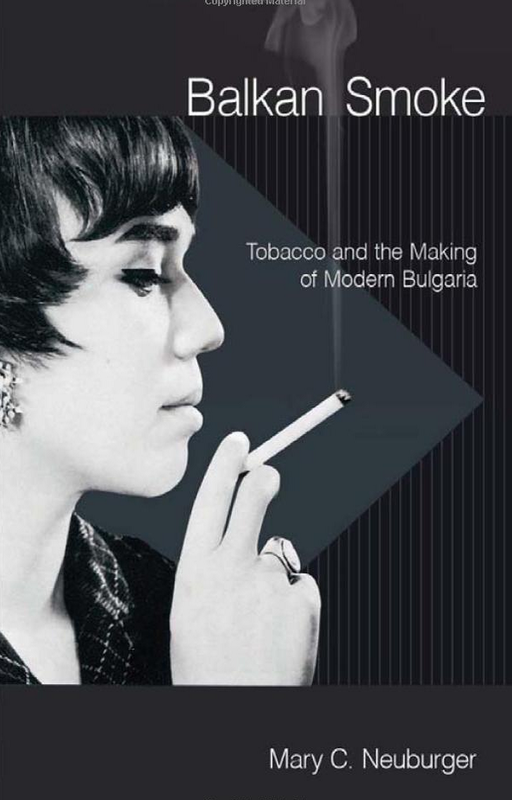 Below, Neuburger discusses her recent book, Balkan Smoke: Tobacco and the Making of Modern Bulgaria (Cornell, 2012), which chronicles the politics of tobacco production and consumption in Bulgaria from the late Ottoman period through the years of Communist rule. Balkan Smoke is a cultural and social history of tobacco in Bulgaria, with focus on the modern period, roughly 1863-1989. It traces the long and transformative process of the introduction and then expansion of largely “Oriental” tobacco production and exchange in this region, in tune with the rise of a global addiction to tobacco. Like most commodity histories, it is a story that inevitably crosses borders, elaborating on the roles of the most critical global and regional players like the Ottoman Empire—from which Bulgaria became autonomous in 1878 and independent in 1908—as well as the United States, Germany, and the Soviet Union. The tracing of this process is coupled with a history of smoking (and anti-smoking) culture in Bulgaria, again in the context of global shifts in smoking practices. The books looks at the rise of and changes in patterns (particularly of public) smoking in Bulgaria, but also at the varied (though largely unsuccessful) sources of resistance to tobacco on health, social, and moral grounds. All of these processes take quite different forms in late Ottoman and early post-Ottoman Bulgaria, in times of war, particularly World War II when Bulgaria was aligned with Nazi Germany, and then, perhaps most dramatically under communism. It is this part of the story that is perhaps the most revealing, as the Bulgarian communist tobacco monopoly, with its gargantuan Soviet market, became the top exporter of cigarettes in the world by the mid-1960s. It was attuned to consumers, and willing and able to adopt technologies and aesthetics wholesale from the West, all in the name of “building socialism.” Given the central role of this industry in the Bulgarian economy, state-driven anti-tobacco campaigns, which peaked in the mid-1970s, were always half-hearted and doomed for failure. Historians of alcohol and drugs undoubtedly share my fascination with historical changes in the acceptability of intoxicants in various contexts. Bulgaria presents a fascinating case because of its place on the “periphery” of Europe, with a complex set of outside influences that shaped its encounter with tobacco. Tobacco was introduced from the New World into the Ottoman Empire in the 17th century, where the plant adapted to the local climatic and soil conditions growing on small mountain plots (as opposed to plantation lowlands as in the US). Its properties altered into various “Turkish” or “Oriental” varieties that were more flavorful, had less nicotine, and eventually became were sought after in Western markets. This was particularly true after the success of the famous Camel brand released by R.J. Reynolds in 1913, and the eventual dominance of the market of American (and European) “blends”. In the Ottoman Empire, smoking was historically a Muslim habit, an accompaniment to coffee, consumed in hookahs and pipes in the largely Muslim coffeehouse—an institution (and beverage) that spread West in the early modern period. By the late nineteenth century, however, Ottoman Christians, including Bulgarians, were becoming smokers and tobacco consumption expanded rapidly in the twentieth century, tied to Bulgaria’s Europeanization following its gaining of autonomy in 1878, to the World Wars and the Cold War. The local coffeehouse was replaced by the gleaming European-style café, and ties to European, American, and Russian markets played a role in the expanding Bulgarian tobacco economy. This is just a taste for the kinds of details the books engages, putting the story of the rise of a dominant tobacco economy in Bulgaria into a complicated regional and global context. One of the things I found most interesting about the book is the ways in which tobacco was so tightly connected to, indeed implicated in, war in the twentieth century. Bulgarian tobacco production expanded rapidly during both World Wars, as provisioning soldiers with cigarettes was deemed as critical as food in both. In both wars soldiers returned from the fronts as smokers, and an increasing number of women who were mobilized on home fronts also entered the legions of new smokers. Bulgaria’s relationship with Germany and the Central Powers in WWI, meant that they played a critical role in provisioning the soldiers and home fronts of these states, as the American tobacco imports were cut off. A German taste for Bulgarian tobaccos developed and continued into the interwar period, when Bulgarian became a major trading partner for Germany. After the rise of an economically vital Nazi Germany in 1933, Bulgarian trade in tobacco and other goods expanded, creating a dependence on Germany that made a WWII alliance almost inevitable. Again, Bulgaria supplied tobacco to Germany and “New Europe” during World War II, in spite of the fact that Hitler himself was anti-smoking, believing that it polluted the “national body”. Still the troops received regular rations, and German advisors descended on Bulgaria, helping them expand and improve production technologies. Bulgarian Jews were pushed out of the tobacco trade in this period, and in the end over 10,000 were expelled form the tobacco growing regions of Thrace and Macedonia, into which Bulgaria expanded in 1941. Interestingly, one of Bulgaria’s most prominent Jewish tobacco merchants escaped to the US during the war, and used his tobacco fortune to help support a “Save Bulgaria’s Jews” campaign. Bulgaria’s relationship with Germany was abruptly severed in 1944, and the advance of the Red Army sealed its fate, but smoking was already deeply embedded in Bulgarian (as European and American) culture. In the years that followed it was the Cold War that would dictate Bulgaria’s tobacco relationships, and drive the largest expansion of tobacco production and smoking thus far. There were lots of trails this work took me down, many of which did not make it into the book. One was the family story of a Bulgarian who worked for British American Tobacco (BAT) in the late Ottoman Balkans, and then was transferred to Rhodesia (Zimbabwe) to work for BAT. There he eventually began his own successful tobacco farm. When the Bulgarian state tobacco monopoly (Bulgartabak) began to do business with Zimbabwe in the 1970s and 1980s, they found this Bulgarian family who became a trade partner and a point of contact. The global story of Bulgarian tobacco trade took them around the globe to forge partnerships with pro-Soviet as well as pro-US trade partners. It took them to the US, where they entered into agreements with Phllip Morris and R.J. Reynolds. Cold War divisions did create barriers to trade, but these barriers were also exceedingly permeable—creating a global guild of sorts with a common cause—that is to fight anti-smoking impulses and increase smokers globally. I find the global aspect of Bulgarian tobacco trade, and its many colorful figures, enticing for future work. ← Previous Post Will I Be A Dope Doctor When I Grow Up?